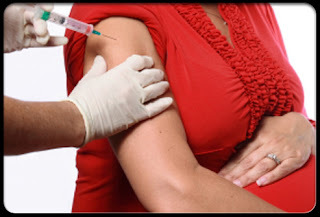 Knowledge villas: If a pregnant woman to take the vaccine against swine flu? If a pregnant woman to take the vaccine against swine flu? Even after the much hyped epidemic of swine flu, most people have an aversion to receive vaccines against swine flu. Only 46 percent of patients, including pregnant women and people with chronic diseases such as asthma, opted for the vaccine. Buzz up! However, pregnant women are particularly protection from the vaccine because it's wary some serious side effects. Although the government has distributed leaflets and information available online, and to persuade pregnant women to receive the vaccine, doctors say that the public response was lukewarm. Among all pregnant women were offered the vaccine, only one in 20 women, received.